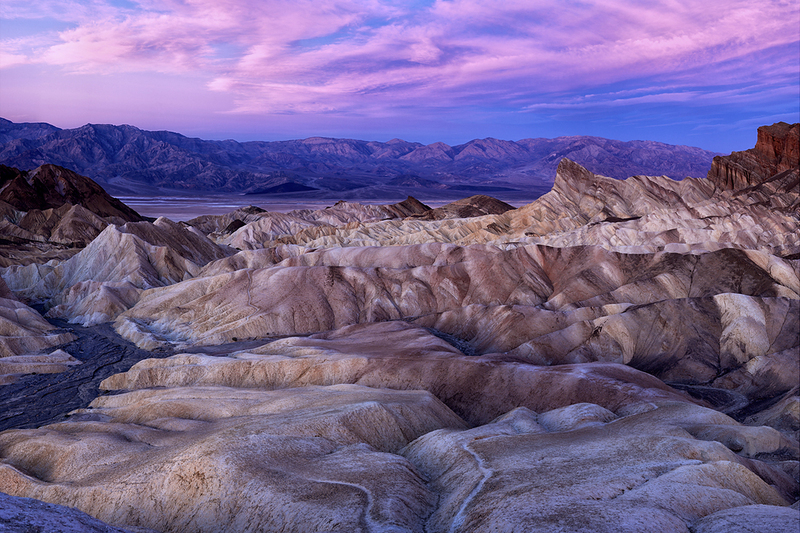 Zabriskie Point is an elevated vantage "point" overlooking a colorful, undulating landscape of gullies and mud hills at the edge of the Amargosa Range in Death Valley National Park. The uniquely beautiful terrain was formed by sediments from Furnace Creek Lake, which dried up 5 million years ago — long before Death Valley came into existence. This iconic overlook was named in recognition of Christian Brevoort Zabriskie, president of the Pacific Coast Borax Company in the early 20th century. The company's famous, iconic twenty-mule teams were actually used back in the day to transport borax from its mining operations in Death Valley.